As a support to our retailers, download the PDF, containing tips and solutions for your showrooms. 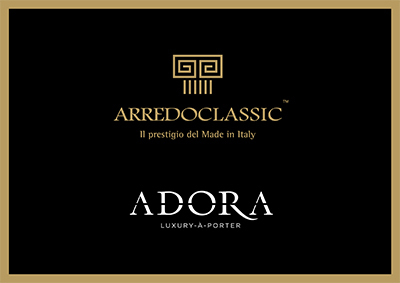 In order to provide our retailers with an additional tool, we give you the possibility to download two explanatory PDFs, proposing some showroom exhibition solutions dedicated to our Arredoclassic and Adora brands. We are sure that they will represent a useful starting point to better showcase the products inside the stores that you manage, emphasizing the Made in Italy quality of our furniture. We firmly believe in retailer support and, depending on your exhibition space, can help you choose which collections to display, together with the matching accessories, such as wallpapers, carpets and more. Once we have evaluated the best arrangements, we can provide you with a 3D reproduction plan, as shown in our downloadable pdf files, but referring to your store.